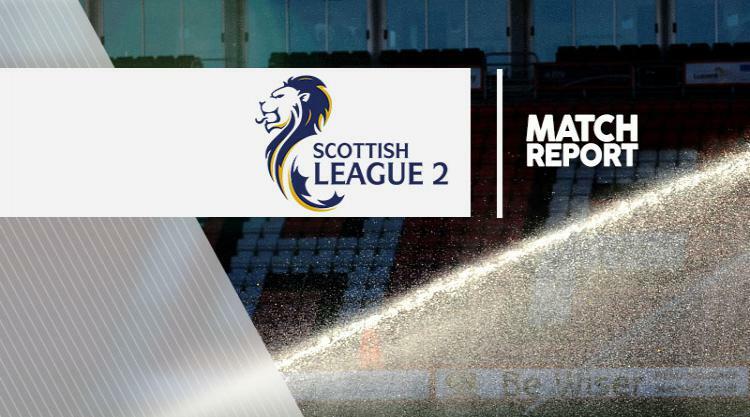 Ryan McCord's second-half double saw Arbroath come from behind to claim an impressive 4-1 win against Berwick in Ladbrokes Scottish League Two. The Red Lichties were behind early on after Michael McKenna's 13th-minute opener, but midfielder McCord struck twice after the break before Martin Scott added a third. Gavin Malin wrapped up the triumph in stoppage time to close the gap on the league leaders to five points. The leaders, Forfar, were fortunate to secure a point in a 1-1 draw against Stirling Albion. Darren Smith tapped in following a Willie Robertson free-kick, before Angus Beith missed the opportunity to make it two from the spot, with his weak penalty saved. David Cox's powerful finish in the 37th minute secured a share of the points for a frustrated Forfar side. Elgin survived a late fightback from Annan to edge a 3-2 victory and maintain the pressure on the top two. The hosts took a three-goal lead in the first half through goals from Brian Cameron, Shane Sutherland and Chris McLeish. However, Annan offered a scare, Peter Weatherson scoring with 20 minutes to go before setting up Smart Osadolor to give Elgin a nervy final few minutes. Clyde and Cowdenbeath were forced to postpone their matches against Montrose and Edinburgh City respectively following adverse weather.